After April’s four day heatwave, it’s clear summer is definitely on it’s way, and it’s time to start preparing for the warm days ahead. To help you embrace the long summer evenings, we’ve got 5 different ways to make the most of your outdoor space. Solar power lights come in all sorts of shapes and sizes, but they’re perfect for summer as they store light in the day which is released at night, illuminating your garden in an eco-friendly way. LED lights are fantastic as they can come in a range of colours; so if you want to create an atmosphere or you have a colour scheme in the garden, this could be a great option. Our advice is to have LED lights on a decking, or around the edges of a garden – they really do look spectacular! Nothing says cosy like an evening spent outside under a canopy of lights. They’re perfect for drawing attention to a specific area of the garden, usually the seating, but they also work in a larger garden as they can cover vast spaces too. 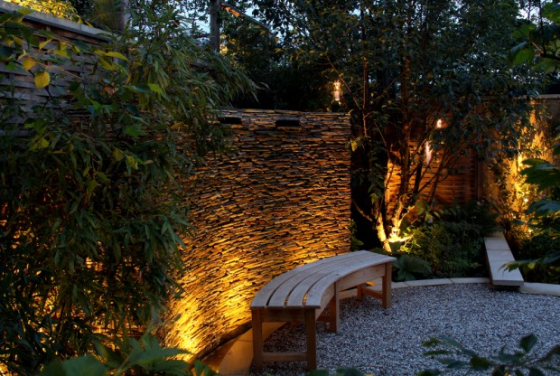 Uplighting in the garden creates a visually striking and dramatic look especially when placed at the base of trees and plants. Uplighting is simple, can come in different colours, and creates a fantastic atmosphere. 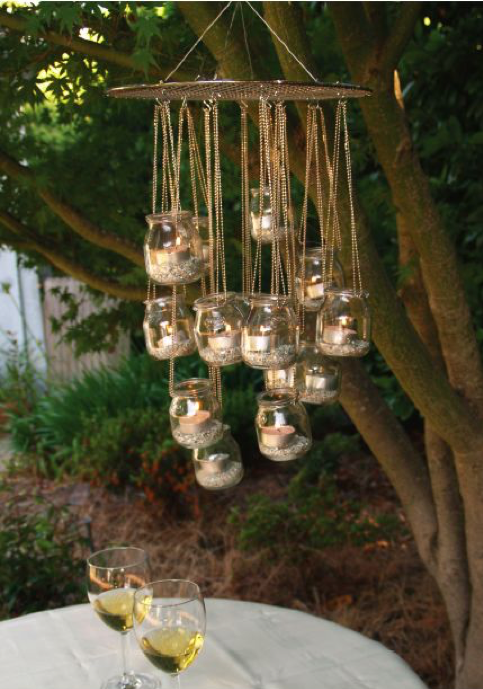 A lovely look for a boho or DIY style garden and it genuinely can be a DIY venture! The lanterns create intimacy and attention to a specific area of the garden, and also have the homely and comfortable feel to them. Let us know which style you like best by commenting below, and if you’d like some inspiration, get in touch!